amazing sports stories out there. As a kid, she was hyped as the female Tiger Woods, and then started playing on the men’s tour. She ended up backing off, going to Stanford, growing up and now re-emerging as one of the best players in the world. The hype, of course, is gone because she isn’t a gimmick anymore, but instead the real thing. Stephens didn’t get that type of hype, but after she beat Williams, she was definitely labeled as the heir apparent. And what she needed was space and room to grow. She did not need false comparisons. Stephens is 21 now, and her string of reaching the second week of majors just ended at six. She showed up at the Australian Open out of shape. At the French, Halep and Eugenie Bouchard bypassed Stephens to the top of their generation. They are ready to move to the top tier of the sport. It’s not too late for Stephens.. She moves well and has effortless strokes with enough power. She doesn’t have nearly enough pop on her serve, though. That can be fixed with tweaks; she’s big enough and certainly strong enough to hit it hard. And she is now working with Roger Federer’s former coach, Paul Annacone, who can figure that out. The question with Stephens is her fire. Too often, there isn’t any evidence of it. She was flat in the first set Monday. Can you teach fire? She has had more success in majors than in other tournaments, so people are labeling her a big-game player. I fear she’s just not interested enough in non-majors, so she gets beaten. On the women’s tour, there isn’t much difference between, say, the 11th best player in the world and the 50th. For example, Kirilenko is just as good as Stephens, the 18th seed at Wimbledon. Williams also has a history of not playing as hard in non-majors, but when you’re one of the greatest players of all time, you’re able to turn it on in big moments. Stephens is not Serena, and needs to learn to fight at all times. It can still happen. There’s still time. Stephens offers hope, but no guarantees. The hype machine swings wildly, but reality has never changed. 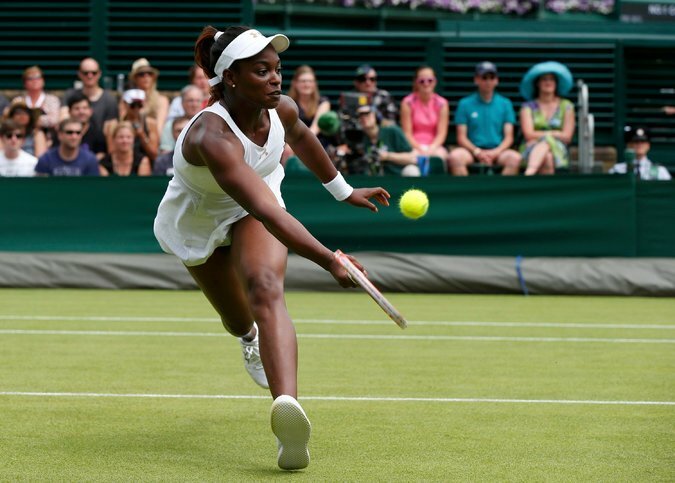 This entry was posted on Monday, June 23rd, 2014 at 11:31 pm	and tagged with Donald Young, Maria Kirilenko, Michelle Wie, Sloane Stephens, Wimbledon and posted in Serena Williams, Sloane Stephens, Wimbledon. You can follow any responses to this entry through the RSS 2.0 feed. has the ability to absorb heat within the skin which is a precursor of acne. else you would normally use petroleum jelly for. Nous vous rappelons que : ” partager ou telecharger le film La Mort en ligne 2 gratuitement sur Internet ou des creations sans autorisation de leurs createurs est une violation de leurs droits, qui les prive de leur remuneration legitime et fragilise ainsi la creation artistique et la diversite culturelle. and whole network nodes can become a more specialized service. Bitcoin orders are irreversible and immune . Exceptional tarot blog and outstanding design and style.will go along with your views on this web site. lot of hands on projects that you will have to complete. have attained proficiency in native language, sso that hhe can master English easily.